SUP Mexico! 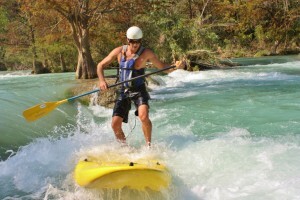 Stand Up Paddling Inland Mexico! 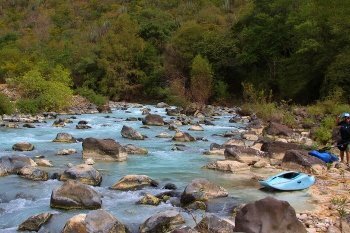 The lower Micos is a gem of a run here in the Huasteca region of Mexico. It is often overlooked, much like the Lower gauley, because of the 7 waterfalls upstream. 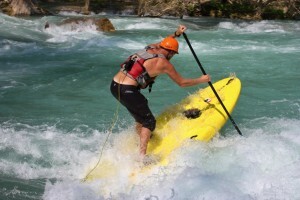 The run is an amazing class 2-3 section with about 25 rapids. 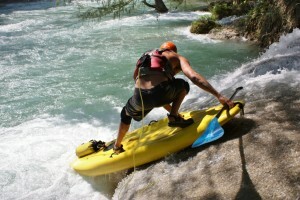 Since river SUP came on the scene, it has given us a new means to enjoy these easy sections of river. I have been travelling in Mexico for 5 years now. The country never ceases to amaze me. This past weekend we visited a couple of small towns in the state of Queretaro. The first is the village of Conca. 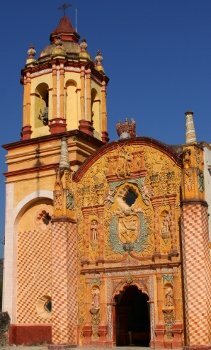 It is one of the 7 sites for the famous Franciscan Missions of the Sierra Gorda. An amazing pueblo with great food and a laid back atmosphere. 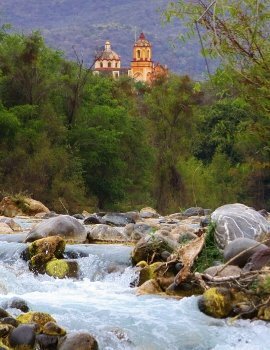 Our time in Queretaro was spent exploring the two rivers in the area. The Santa Maria and the Ayutla. 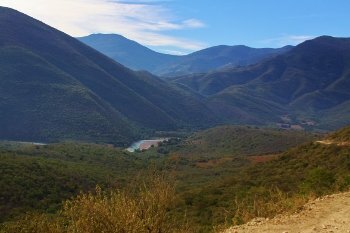 The picture above is the Canyon of the Santa Maria. You can only see the canyon by watercraft. 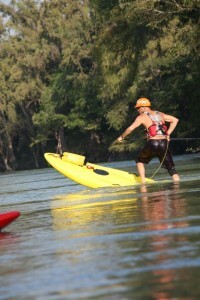 We chose kayaks but a local outfitter offers SUP boards, rafts and Sit on top kayaks as well. The views from the river are incredible. We spent 4 hours on the water and arrived in the joining of the 2 rivers Ayutla and Santa Maria. One is transparent green, the other turquoise blue. along the river we found several hot springs waterfalls to relax and enjoy the scenery in! 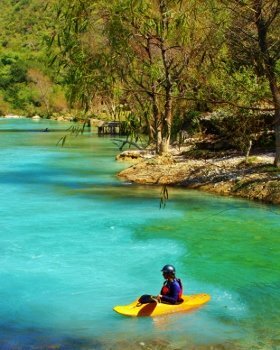 This is an amazing place..if you are interested in exploring Conca..then check out www.kayakhuasteca.com They will be offering trips to this seldom visited place in the world. The best season to go is during the month of december.